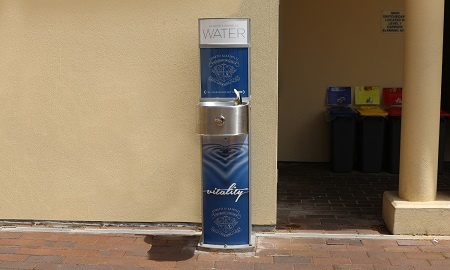 The CIVIQ team have recently collaborated with Loreto Kirribilli School to provide students with fresh water in an economical and environmentally sustainable manner. 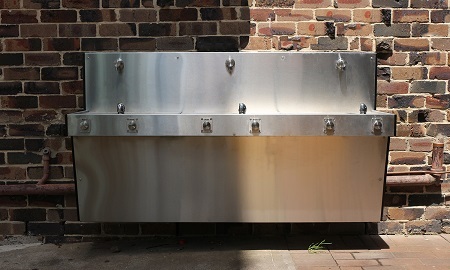 Located in Lower North Shore of Sydney, Loreto Kirribilli School wanted to offer their students fresh drinking water and the opportunity to fill up their own bottles with water throughout the school day. Loreto Kirribilli was established at Milsons Point in 1901, is one of seven Loreto schools in Australia and has over 1,200 students from Kindergarten to Year 12. The student sustainability committee came up with an idea to reduce plastic waste by no longer selling plastic water bottles at school. However, they also wanted to provide students with free, clean drinking water. The school contacted CIVIQ and enquired about which drinking fountain stations would suit different locations inside and outside the school, whilst also meeting the school’s objective to provide students with free water rather than purchasing bottles of water at the canteen. They also required a tough and weather resistant product for the outdoor environment. CIVIQ recommended and quoted for the Aquafil Pulse Senior 1400BF and the Hydrobank, which are both ideal for the busy school setting. The Aquafil Pulse is vandal resistant, has internal drainage, and is therefore suitable for installation either outdoors or indoors. It features two drinking water access points: one for the drinking fountain and one for the bottle refill station. It comes with an optional wheelchair accessible basin and has customisable robust signage panels, which allow for exterior artwork. 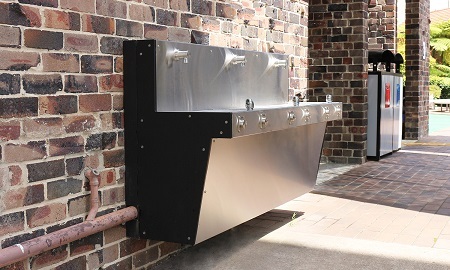 The Hydrobank features numerous water access points: it is equipped with a triple nozzle feature, consisting of three anti-bacterial bottle refill points and three drinking fountains. It has an optional inbuilt filtering and refrigeration mechanism and includes a choice of 9 different end-panel colours, giving the school the opportunity to colour match with the school colours and logo. Loreto Kirribilli applied for the Bin Trim Rebate grant through the NSW Environment Protection Authority (EPA). The aim of this rebate is to increase workplace recycling. It is part of the NSW ‘Waste Less, Recycle More’ program, which encourages businesses to recycle more and create less waste. Businesses are able to apply for rebates covering up to 50% of the cost of small-scale, on-site recycling equipment. “Both Hydrobank stations have been placed in high traffic walkways, giving easy access for students to refresh on the go” says Loreto Kirribilli Property Manager, Richard Schilling. Through this grant the school was able to take advantage of the earlier quote and purchased the products at the beginning of 2018. The water stations were then installed in March and July 2018. Most were placed in high traffic areas; the Aquafil Pulse was installed in the bathroom in the Chapel and Hydrobank water stations were installed outside the canteen and the science block. More drinking stations may be installed in the future, as some areas of the school will be undergoing redevelopment in the future. The chilled water stations are already well used and will help the students keep hydrated during the hotter months ahead. 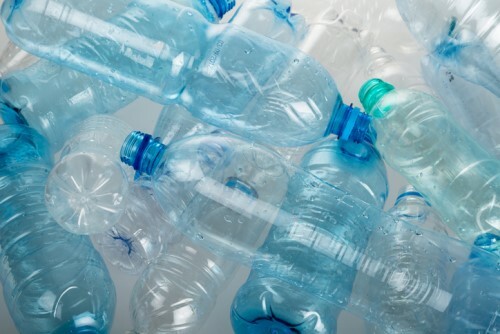 The school has now ceased selling bottled water to students, thus reducing plastic waste by a considerable amount.